"Allah sends to this nation at the beginning of each century those who renew the religion." [Sunan Abi Dawud (4291)]. This is an authentic hadith that has enjoyed widespread acceptance among Muslims. Muslims believe that a Messiah-type figure (Imam Mahdi) will appear at a difficult period of history to restore the faith and ensure the final victory of Islam. The Day when they will hear a (mighty) Blast in Truth: That will be the Day of Resurrection. . . . The Mahdi, (the name of the last of the twelve imams, the first being Ali, son-in-law of Mohammed) according to Islam, and in particular its Shiite branch, is the Savior to come at the time of the Last Judgment to save the world. It is interesting to recall that Mahdi, in Sanskrit, is the contraction of Ma Adi (Primordial Mother) in the same way that the returning Savior according to Buddha, Maitreya, is a contraction of Ma Treya (Mother threefold, trimorphic protonnoia or trigunatmika). The function of the Mahdi is similar to those attributed to the Kalki of the Hindus, the Maitreya of the Buddhists or the Christ King of the Christians. The return of the Mahdi constitutes the most frequent prediction of the imams. Al-Kultani and Al-Nu'mani consecrated an entire chapter and Ibn Babunye passed down in thirteen chapters the predictions of the Prophet, Fatima and of the eleven imams on the subject of the Twelfth imam. The universal precursory Sign of the return of the Mahdi, "He who Guides," consists of the general invasion of the earth by Evil and the victory of the forces of Evil over those of Good. Without such a manifestation, the entirety of humanity would be engulfed by darkness. Here we find extracts from the eulogies of Ali Talib describing various components of the sign announcing the return of the Mahdi. The Sign consists of the following traits: the people will neglect prayer, squander the divinity which is conferred on them, legalize untruths, practice usury, accept bribes, construct huge edifices, sell religion to win this lower world, employ idiots, consult with women, break family ties, obey passion and consider insignificant the letting of blood. Magnanimity will be considered as weakness and injustice as glory, princesses will be debauched and ministers will be oppressors, intellectuals will be traitors and the reader of the Koran vicious. False witness will be brought openly and immorality proclaimed in loud voices. A word of promise will be slander, sin and exaggeration. In this way the awaited Imam (al-Muntazar) Mad-dhi, Qaim, will prepare the earth for the Last Judgment and the Resurrection. The battle of Qa'im will mark the ultimate victory of the 'believers' against their 'enemies' and the universal and final establishment of the 'religion' of the imams. The community of the faithful is a familiar theme of all eschatology. Of course the primary ambiguity of these prophecies is that they may refer to more spiritual and ethical realities or be understood as a militant call for a violent upheaval. But there are texts indicating that these prophecies do not invite the fight of Islam against other religions but rather, the fight of all religions for their inner renewal. Mahdi will equally re-establish the other religions, also abandoned and disfigured, in their original Truth and Purity. If so, the prediction of the Mahdi does not announce the victory of zealot warriors who will wipe out non-believers, understood to be other races or religions. Rather, the prophecies talk of the power of love, not the might of hate. They would then refer to the fight against ignorance, no doubt the most formidable of all battles. But if Allah is indeed the Merciful and Compassionate, such is the most likely meaning of the predictions of the imams. The real jihad is an internal fight for our own purification, so that out full spiritual potential might finally manifest. Consequently, even in the stern Muslim prophecies we can read the hopeful and promising light of mankind's renewal. This may or may not combine with events of massive destruction that can still manifest. But let us focus on the hopeful dimension of this momentous period." "The Prophet has declared: The Day of Resurrection will not take place until the True Qa'im rises. This will happen when God permits him to do so. Anyone who follows him will be saved, and anyone who opposes him will perish. O servants of God, keep God in your mind and go towards him even if it happens to be on the ice, for indeed he is the caliph of God, the Exalted and Glorified, and my successor." "Allah sends to this nation at the beginning of each century those who renew the religion." [Sunan Abi Dawud (4291)]. This is an authentic hadith that has enjoyed widespread acceptance among Muslims. Muslims believe that a Messiah-type figure (Imam Mahdi, or the Mahdi) will appear (or re-appear) at a difficult period of history to restore the faith and ensure the final victory of Islam. According to H.A.R. Gibb, J.H. Kramers, "Shorter Encyclopaedia of Islam, E.J. Brill, Leiden 1953, p.24., the Promised Messiah is an article of Islamic faith whose "coming early in the 14th century of the Hidjra was predicted by Muhammad." Given the above facts concerning Hidjra (Hijrah or Hegira) the starting point of the Islamic period begins at the end of the year 622. "Early in the 14th century of the Hidjra" is 1923. Shri Mataji Nirmala Devi was born the 21st of March 1923! This priceless prediction of Nabi Muhammad has manifested exactly as foretold 14 centuries ago. Shri Mataji Nirmala Devi is the Mahdi — "Guided One" in Arabic or Ma Adi "Primordial (Adi) Mother (Ma)" in Sanskrit — promised by all Holy Scriptures to guide humanity in this Millennium of the Resurrection and Last Judgment. This picture below taken at Rahuri, Maharashtra, India in 1983 shows the Ma Adi in a shower of Light as She talks about a great Muslim Pir who once lived there. The Caller From A Place Quite Near (Sahasrara) Is The Imam Mahdi who will announce the Great News, the Mighty Blast of Truth about Al-Qiyamah (The Resurrection) to all humanity. The Day when they will hear a (mighty) Blast in Truth: That will be the Day of Resurrection. "Declare to all the nations now that I am the Holy Ghost (Ruh of Allah) and I have come for this Special Time, that is, the Resurrection Time (Al Qiyamah)." The Caller From A Place Quire Near, the Hidden Imam Mahdi who lives in the Sahasrara of all human beings, has declared that the Resurrection and Last Judgment has begun. It is not possible here to describe His Ruh (Spirit) in the Sahasrara as very little has been revealed. Engineer Madani: Is belief in the promised Mahdi confined to the followers of Islam, or does it exist in other religions too? Mr. Hoshyar: In fact, this belief is not limited to the Muslims alone. In almost all religions and heavenly creeds one can find a similar belief in the future savior. The followers of these religions believe that there will come a time when the world will become corrupt and engulfed in a crisis. Evil and injustice will become the rule of the day. Disbelief will cover the entire world. At that time, the universal savior of the world will appear. With remarkable divine help he will restore the purity of faith and defeat materialism with the help of divine worship. Not only are the tidings to be found in revealed books like the Zand and Pazand, and Jamaspname of the Zoroastrians, the Torah and other Biblical books of the Jews, and the Gospel of the Christians, such information can also be seen, more or less, among the Brahmins and the Buddhists. It is not appropriate to confine the deliverer of the world, the Mahdi, to one particular nation. He will actually come to fight against all discriminatory claims of racial, creedal and national distinction. Consequently, he should be regarded as the Mahdi of the whole of humanity. He is the savior and deliverer of the people who worship God. His victory is the victory of all the prophets and all the righteous ones on earth. He will be restoring the religion of Abraham, Moses, Jesus and all of the heavenly revelations, namely, Islam; he will revive the pure religion of Moses and Jesus which had foretold the prophethood of Muhammad. After having demonstrated the necessity for general prophethood to guide humanity to its this- and next-worldly goals, it is accurate to hold that the same proof can be utilized to establish the fact that, whenever the prophet dies, there must exist in his place someone who can lead the community to those ends. This person should be someone who can continue the work of the prophet in providing the divine ordinances and reach out to the people in their search for the religious and spiritual path. God's purposes cannot be fulfilled without such a person existing among the people to promulgate those laws without errors of omission or commission. Thus, in the absence of the prophet, God's benevolence makes it necessary that there should be someone among the people to make sure that divine revelation is protected from human interference and interpolations, and that divine laws are made accessible to the people at all times. This outstanding person must also, like the prophet, be immune and protected from committing any error and mistakes in receiving, recording and delivering the divine ordinances to establish the proof that God's guidance for the people is intact. 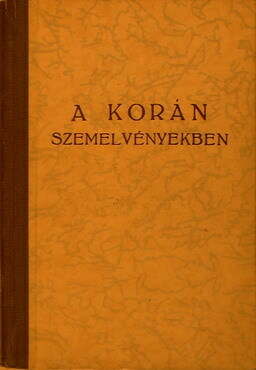 Moreover, he should be fully knowledgeable about the truth of the religious ordinances and should himself act upon those ordinances so that others can bring their own acts and opinions into conformity with his and follow his example in their search for truth, without falling into doubt and confusion and without resorting to excuses for not having found the proof of religious truth. Since the Imam must also be protected from committing any error in carrying out this great responsibility, it must be pointed out that the Imam's knowledge is other than that acquired through sense perception. Hence, his knowledge is different from the knowledge of an ordinary person. Through the Prophet's own guidance the Imam possesses clear insights into religious knowledge. Moreover, he is endowed with direct experience of the truth through his inner eyes. It is because of this that he is protected from any error or forgetfulness, and so acts in accord with this experience and direct observation of religious truth. More importantly, it is this attribute that qualifies him to assume the Imamate of the Muslim community. In other words, there must exist among the people a perfect individual, one possessing absolute faith in God's revelation and exemplifying the best character and personal qualities in order to lead people in the minutest details of God's ordinances. At all these levels he must be protected from error, forgetfulness, and acts of disobedience. He must be ma'sm. It is the coming together of faith and action, knowledge and practice, that makes him the personification of all the possible human potentials of perfection. The realization of these potentials indisputably annoints him the leader of humanity. If humanity, at any point, is deprived of this leadership, the situation could lead to the disappearance of the divine ordinances which were proclaimed for the betterment of humankind. Moreover, it could lead to the discontinuation of divine help and could sever the connection between the divine and human realms. In other words, there should always be a person among the people who is endowed with special guidance from God and is protected through God's benevolence in order for him to provide the necessary guidance and lead the people to their perfection in accord with their divinely endowed potentials. Moreover, through his knowledge and in any way possible, he should aid them in their journey towards their Creator. It is the existence of the sacred presence of the Imam as the Proof of God and as a perfect example of religious life that can make the divine presence known and divine worship possible in a society. Without the Imam's existence God cannot be known or worshipped perfectly. The inner self of the Imam is the receptacle for God's knowledge and divine secrets. It is like a mirror that reflects the realities of the material world, and people derive benefit from these reflections." "The date of the actual Hijrah as given in Caetani may be accepted as Sept.-Oct. 622, being the month of Rab'i 1. If the ninth of that month would be accepted as the date of the departure from the cave of Thawr, the best synchronised date would be the 22nd of September 622 C. But as the first month of the Arab year was (and is) Muharram, the Hijrah year 1 is counted as beginning on the 15th or 16th July 622 (= 1 Muharram A.H. 1.)" Abdullah Yusuf Ali, The Holy Qur'an, 1989, p 1032. "In AD 622 Muhammad, encountering religious opposition to his teachings of the unity of God and his denunciation of idolatry, moved north from his birthplace Mecca to Medina, both in Saudi Arabia. This hejira marks the start of the Muslim calendar." Cassell PLC, 1996, p. 27. "To believe in Him as the Second or the Promised Messiah is an article of faith, because first of all His coming early in the 14th century of the Hidjra was predicted by Muhammad." E.J. Brill, Leiden 1953, p.24. "Allah sends to this nation at the beginning of each century those who renew the religion." [Sunan Abi Dawud (4291)] This is an authentic hadith that has enjoyed widespread acceptance among Muslims. Given all the above facts concerning Hidjra (Hijrah or Hegira) the starting point of the Islamic period begins at the end of the year 622. "Early in the 14th century of the Hidjra" is 1923. Shri Mataji Nirmala Devi was born the 21st of March 1923! This priceless prediction of Nabi Muhammad has manifested exactly as foretold 14 centuries ago. Surely the Hypocrites and Wrongdoers (Zalimun) are not going to deny the prophecy of Prophet Muhammad, their revered Messenger of Allah. Surely the Unbelievers (Al-Kafirun) are not going to deny the Promised Mahdi Shri Nirmala Devi, an Androgynous Being in the Spirit World. On July 24, 2001 there was an objection from an anonymous Shia gentleman from Kuwait that the Imam Mahdi must be a male. He is just one of the many who have a particular mindset regarding the Imam Mahdi. Others claim in books and on the internet that the Imam Mahdi must be a Muslim, born to a certain lineage, arise in a Muslim nation, do battle with Muslims and non-Muslims alike, and so on. In fact there are so many theories, conjectures and contradictions about the Imam Mahdi that it is extremely difficult to separate falsehood from sheer speculation. The aim of this website is to shed new light on the Imam Mahdi for the benefit of all humankind, not conjecture and misinformation based on narrow fundamentalism and dogma for the exclusive benefit of Shias. We have to again bear in mind that Shri Mataji's 861st name in the Shri Lalita Sahasranama is Shri Kantardha-vigraha, which literally means "having a form half of which is female". Thus the question of sexual preference can not arise, and narrow-minded fundamentalists do not have the gnostic capacity to understand this esoteric reality. We cannot stress enough that the Ruh of Allah is esoteric and formless, and Her physical appearance is only to validate Allah's promise that it is His exclusive prerogative to explain and promulgate Surah 75 Al-Qiyamah (the Resurrection). Shias also have to understand that the Imam Mahdi appears for the benevolence of all humanity, not just the Shiites. Any claim to any particular religion will immediately alienate the vast majority of humanity, including that of Sunni Islam. Shri Mataji Nirmala Devi, though born in a Christian family, is neither Christian, Hindu, Muslim, Buddhist or belonging to any religious tradition. Only such a universal personality can unify and heal the fragmented faithful and enable them to grasp the Good News of Qiyamah. Listed below are the major prophecies of various religions fulfilled directly or indirectly by the Great Imam Mahdi Shri Mataji Nirmala Devi. May the Ummah remember what the Qur'an has said regarding this Great Event - "And [Jesus] shall be a sign [for the coming of] the Hour [of Resurrection]. Therefore, have no doubt about the [Resurrection] but follow Me: this is a straight way. (43:61)"
20. "I Incarnate Myself Age After Age"
Another Sign of Allah that indirectly links Al-Qiyamah and Imam Mahdi is that the path of 1995 total solar eclipse originates in Shiite Iran. Those able to contemplate and comprehend this fact will understand the Sure Signs of Allah to lead the Believers to the Reality of the Night of Power and Honor (Al Qadr). Shiites also believe that the Imam Mahdi will draw out the hidden essence of the Holy Qur'an and usher an era of true Islam. Till the advent of His Ruh not even a single Muslim have been able to explain the priceless parables and esoteric truths of the Holy Qur'an, and raise the consciousness of the human race as to its living, breathing Reality. Not only that, but She has declared that the Message of Al-Qiyamah applies to all religious traditions, barring none. So why should even a single Muslim object? Who are they to criticize Allah's Plan for all humanity just because it does not uncompromisingly fit the dogmas of their religious sects, and thousands of their hadiths? How do they intent to subject all humanity to the Universal Call of Al-Qiyamah? Nay, they will bicker and argue about the Tremendous Announcement about which they have their own different dogma and opinions. "The Unbelievers may, for a time, make a better show in worldly position, or in people's assemblages where things are judged by the counting of heads. But Truth must prevail even in this world, and ultimately the position must be reversed." Amana Corporation, p. 759, 1989. "The great root of Evil and Unbelief is self-glory or Arrogance, as is pointed out in several places with regard to Satan. This leads to Envy and separatism, or a desire to start a peculiar doctrine or sect of one's own, instead of a desire to find common grounds of belief and life, which lead to the Religion of Unity in Allah. . . Teaching, Warning Signs have been given by Allah to all nations and at all times, and yet nations have rebelled and gone wrong and suffered destruction. If only later generations could learn that wrongdoing results in self-destruction!" Amana Corporation, p. 1161, 1989. According to Ibn Taymiyah (January 22, 1263 - 1328) "not believing in God and His Messenger, whether that is accompanied by denial or it is not accompanied by denial but rather doubt, or turning away from faith out of jealousy or arrogance, or because one is following whims and desires that prevent one from following the message. So kufr is the attribute of everyone who rejects something that God has commanded us to believe in, after news of that has reached him, whether he rejects it in his heart without uttering it, or he speaks those words of rejection without believing it in his heart, or he does both; or he does an action which is described in the texts as putting one beyond the pale of faith." It is a universal Message for all humanity. Thus kaffir (non-believer) here is specifically applied to all, both Muslim and non-Muslim, who reject the Call that God has commanded us to believe in after news of Al Naba (The Great News) has reached us. The Qur'an clearly warns that many will disbelief, even mock, the Great News and Sure Signs of Al-Qiyamah. Note: The last paragraph is yet another warning from Allah (SWT) that prior to the Wrath of the End (Al Qariah) humans are offered the Mercy of the Resurrection (Al Qadr). And once the Hour of Al Qariah comes to them, how will they benefit from their (messengers from amongst you) message of Al Qadr? Only now in this modern age of universal education and publishing technology—after 14 centuries and unlike the past—is it possible for them to own and be sufficiently literate to "study the Quran carefully" in languages they understand best. * And just in case they start studying the entire Qur'an, it must be stressed that Allah (SWT) is referring specifically to those eschatological Signs and surahs upholding His Call to bear witness of the Resurrection! They must thoroughly understand all the Signs thereof that have already come and set forth by messengers from amongst themselves. Without question, to "study the Quran carefully" means using one's own mental faculties, not those of the ulema (Muslim clergy) who have for centuries put "locks on their minds" and are the very reason for the Ummah's present predicament i.e., their kaffir-like mindset, reaction, rejection and mocking of His Call, Signs and Great News of the Resurrection. So Peace during this blessed Night of Power and Destiny (Al Qadr)! His promised Peace for all Believers bearing witness to Al-Qiyamah (The Resurrection). Peace until the rise of the dreadful morn of Noise and Clamor - The Striking Day (Al Qariah) for the Unbelievers (Al-Kafirun)! 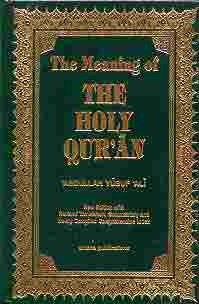 "Muslim illiteracy worldwide stands at about 51 percent for all age groups over fifteen. Despite a rapid increase in primary school enrollment, only 45 percent of Muslim children aged six to eleven attend primary school. An even larger gap exists at higher levels of research." - Martin S. Kramer, Arab awakening and Islamic revival, page 280. 4. al-Nu'mani, op cit pages 333-59 "The Qa'im"